We can remember the days when doing a paper or research project for school meant visiting the library to sift through encyclopedias and other books hoping to find the information we needed. Today, the Internet and the myriad of devices connected to it have made the access to information not only abundant, but also immediate. Given this radical shift in how we discover and consume information, educators and school designers need to rethink the purpose of school libraries in the learning process. Symbolizing a silent archive of recorded knowledge, libraries need to become more innovative and technologically accommodating if we want them to support the expectations for today’s students. For this reason, libraries as we know them are now becoming learning commons. 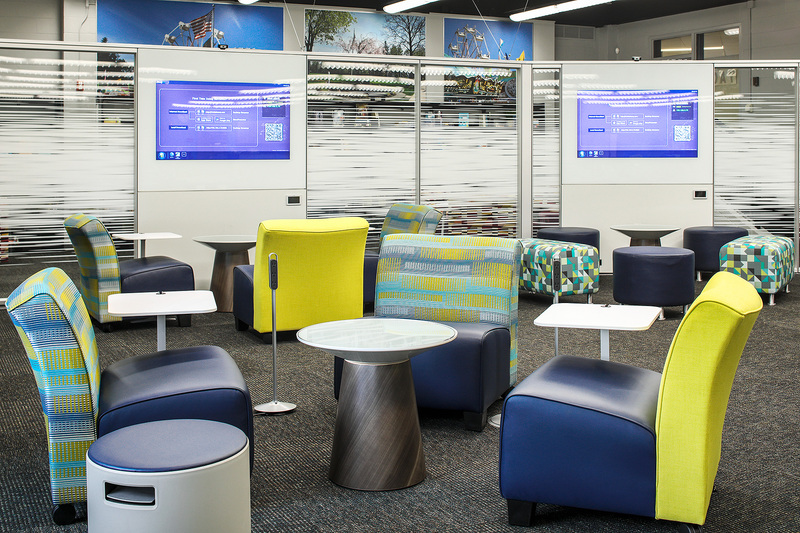 A relatively new and evolving design concept, learning commons consist of flexible spaces that support technology, communication, and collaboration to connect learners and help them construct knowledge. Tiptoeing through a maze of book stacks and large tables to find a book that is likely outdated is fast becoming a thing of the past. Thanks to the Internet, the most current information can be found on the phone in your pocket and is no longer confined to only print materials. By trimming down print materials so only the items still being circulated remain, stacks can either be removed entirely or relocated around the room’s perimeter. This space realignment dramatically opens the floorplan to begin adding active learning tools. Learning commons are meant to accommodate a variety of learning activities, so flexibility is key to their success. Mobile furniture, for example, allows educators and students to adapt to different group sizes and modes of learning, including lecture, discussion, group, and individual. Lounge or study spaces within the learning commons emphasize comfort and provide different posture options to match students’ study and learning needs. Placement of these furnishings can be flexible to provide students control between making social connections and performing individual study. Additionally, collaboration and co-creation are critical to student learning. To better aid in both, technology, which has become intertwined in how students learn and work today, should be integrated into all areas of the learning commons. Collaboration technology featuring large displays enable the sharing of digital content and encourage student engagement by enabling them to explore, play, and immerse themselves deeper into unfamiliar topics. Presentations, once static and delivered as a lecture, can become interactive experiences that increase understanding and knowledge through active participation. As important, these tools need to be powered. Power distribution systems provide easy access to electricity throughout the learning commons so displays are not bound to walls and both students and educators can charge their devices. When a large, open space doesn’t allow for multiple classes or activities to take place concurrently, modular walls are an ideal solution that can help further define use and purpose. The smaller, acoustically private spaces can be used by educators to instruct students and provide additional focus. Unlike many school spaces created through traditional, dry wall construction, modular walls are easier to adapt to changes in technology and can be designed with glass walls to provide visibility throughout the learning commons. Continuing the theme of flexibility, modular walls can also be reconfigured in the future to adapt to the school’s evolving needs. Today’s learning environments must cultivate student engagement by giving them a space that encourages active learning, exploration, creation and collaboration. The days of the traditional library are over. The spaces they currently occupy, however, can and should be re-purposed as we become more interconnected with technology in our daily lives. As municipalities consider new school construction, they must also consider the growing demand to provide current and future students with easy and quick access to information and learning resources that accommodate different learning styles – which ultimately lead to better educational outcomes. Through a carefully thought-out and executed integration of technology, modular walls, furniture, and other design aspects, the learning commons can be an effective learning environment that not only educates students in the present, but also instills a lasting desire to learn. 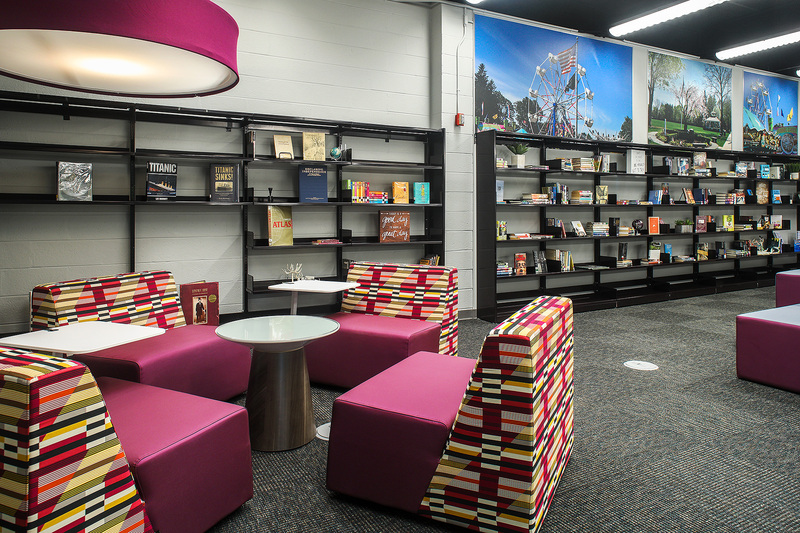 Read more about how to plan for Learning Commons in your education space. Don Kolterjahn is the Vice President of Sales at dancker.